Do you think your organization qualifies? 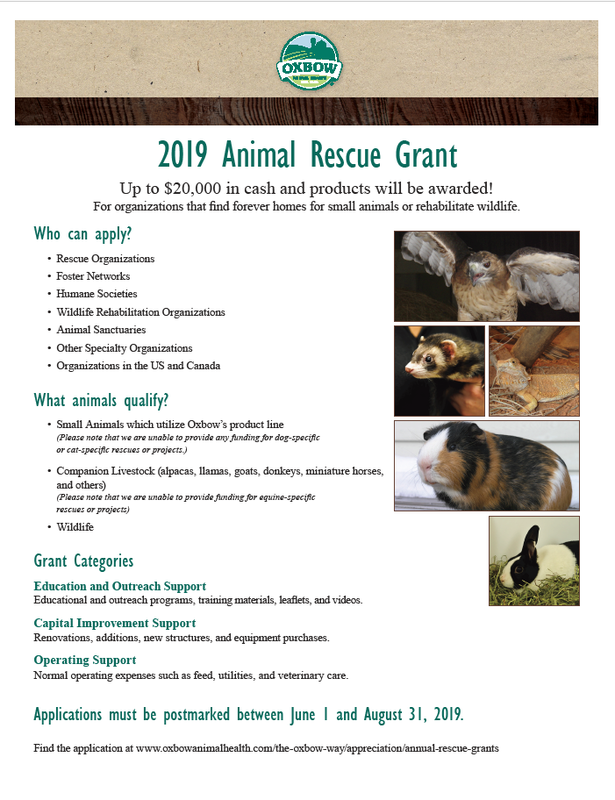 2019 Grant Applications are now available. Download the application here. 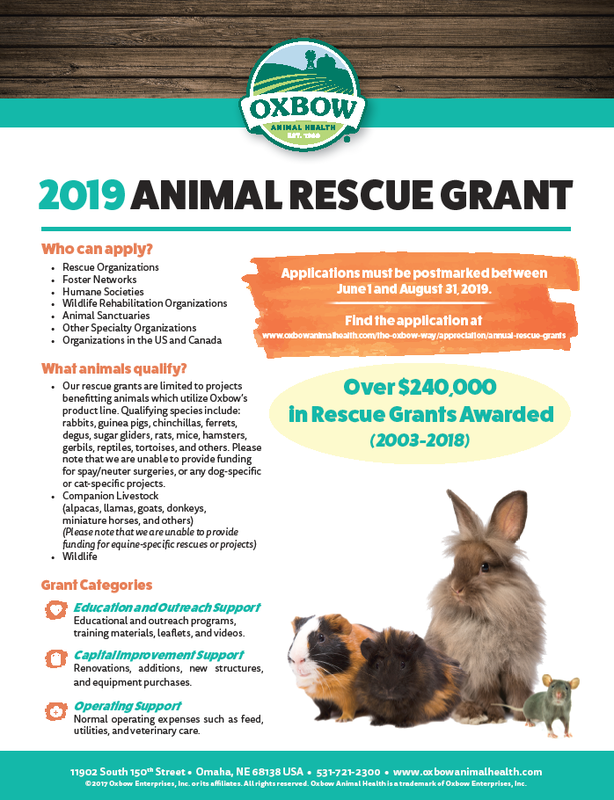 For a list of FAQs regarding the Oxbow Rescue Grant Program, please click here.